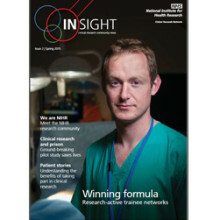 The second edition of Insight magazine - clinical research community news - is now available to view. The NIHR Clinical Research Network is sponsoring the Health Service Journal (HSJ) Clinical Research Impact award again this year. A new nationwide online and telephone service that helps people to take part in dementia research studies launched on 24 February 2015. 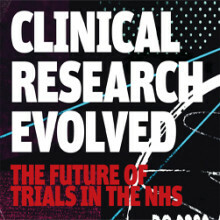 The NIHR Clinical Research Network has launched a sponsored supplement in the HSJ, to celebrate its achievements since its inception in 2006. Portsmouth Hospitals NHS Trust has won a prestigious national award for the work it has done to maximise clinical research activity across the Trust. The “Clinical Research Impact” award was presented to Portsmouth Hospitals NHS Trust at a ceremony on London’s Park Lane last night (19 November 2014). 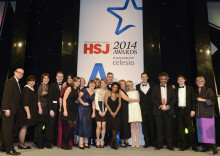 Danetre Medical Practice (GP surgery) was highly commended as a runner up. 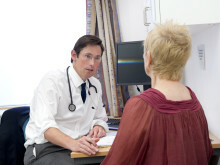 A new survey conducted on behalf of the National Institute for Health Research Clinical Research Network (NIHR CRN) shows that 89% of people would be willing to take part in clinical research if they were diagnosed with a medical condition or disease – with an all-time-low figure of just 3% saying they would not consider it at all. 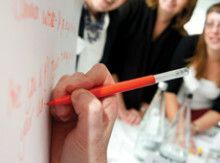 The National Institute for Health Research (NIHR) Clinical Research Network’s Good Clinical Practice (GCP) training has been added to the list of GCP programmes mutually recognised by TransCelerate member companies. 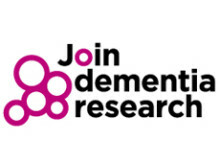 To mark International Clinical Trials Day and the start of Dementia Awareness Week, the National Institute for Health Research Clinical Research Network has released figures which show recruitment into dementia studies has increased by 13% in the last 12 months. A new campaign is helping patients to share their inspirational stories about the impact that taking part in clinical research has had on their life. 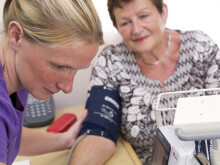 A report released by the National Institute for Health Research Clinical Research Network shows that more than 630,000 NHS patients in England took part in clinical research studies last year. 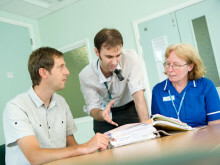 Consumer polls show NHS patients want the chance to take part in clinical research. Now a new league table from the National Institute for Health Research Clinical Research Network shows how well NHS Trusts across England are meeting that expectation. The NIHR Clinical Research Network is offering all NHS Trusts in England a free "health check", to discover their health and strength when it comes to delivering clinical research.